Alita: Battle Angel follows a cyborg with a few human qualities, who has no prior knowledge of who she used to be. Abandoned in Iron City, she wants to remember her past, a secret that is being withheld from her by scrapyard business man, Vector (Mahershala Ali), and his crew. As she begins to learn about her origins, she runs away, and is taken in by Dr. Ido, (played by the incredible Christoph Waltz). When Alita finds out that she is a target to be used for parts, the hunted becomes the hunter. I’ve never read manga, nor have I seen much anime, so it was news to me that the character Alita was born from those mediums. What I do know about anime as a medium is that the visuals are striking and the storytelling can be complex, two characteristics which Director James Cameron carries marvelously to the big screen. When I first saw the trailer for Alita, I sat in complete awe of the dazzling CGI effects hitting my retinas. There have been many movies where the CGI looks cheap, causing one to lose interest in the film (looking at you, John Carter!). Alita, with its dazzling visuals, is the complete opposite. At many points during the movie, Alita simply looks real. Cameron has been known to bring visually stunning movies to life with CGI. For many of us, he instilled a lifelong fear of the T-1000 from Terminator 2 and made the magical world of Pandora come to life in Avatar. At this point in his career, bringing Alita to life was almost old hat. A little fun side note, Robert Patrick (who played the T-1000) used to go to my gym and he was the nicest guy you could ever meet! The action in Alita is on par with Cameron’s impressive palette of visuals. There are no guns allowed in Iron City so a majority of the combat scenes are fist fights. Alita happens to be of the cyborg breed best at fighting, a socket soldier, the deadliest around. She is also an expert at Motorball, a competitive sport that’s basically Quidditch, racing, and deadly roller derby, all rolled into in one. This game is important to the plot because Vector uses it to to scrap the cyborgs for parts. For Alita, Motorball is just another deadly hurdle she must overcome in order to find out the truth about her past. For the viewer, Motorball is fun and fast paced action that only advances Alita’s story. Alita is well acted across the board. Rosa Salazar plays Alita and aside from the character’s huge CGI eyes, her body and face look pretty similar to the actress’s. The motion capture technology used was phenomenal. I did see Alita in Dolby 3D, and I suggest you see it in the same format. The theater’s sound system was turned up to 11, so I felt every punch and explosion, a truly engrossing experience. And this movie was made for 3D. Usually the 3D aspect of movies is gimmicky at best, but in Alita, it is used to perfection. You will have robot arms and Motorball balls flying at your face at various points in the movie. 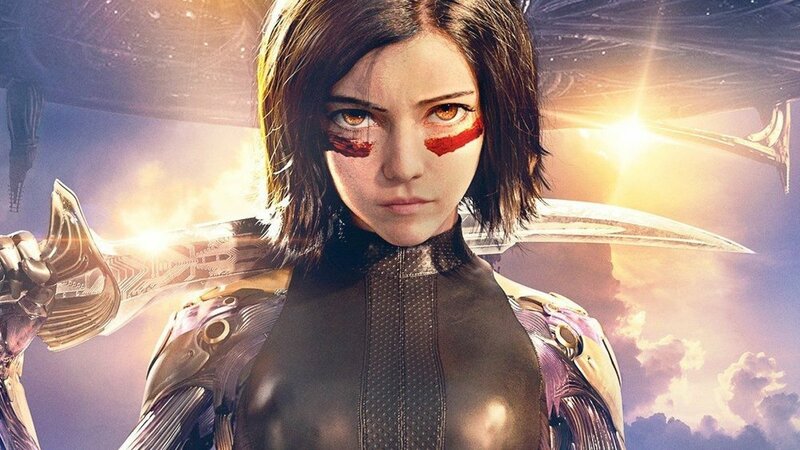 For a movie rated PG-13, I thought Alita was pretty violent and I do not believe it is appropriate for a younger audience. It’s a pretty dark movie storywise. Alita needs to keep one eye open at all times because danger lurks around every corner. For someone who knew nothing about the original manga, I had a great time. I highly recommend going out and seeing it in Dolby 3D. If you can, you’re in for a real treat.